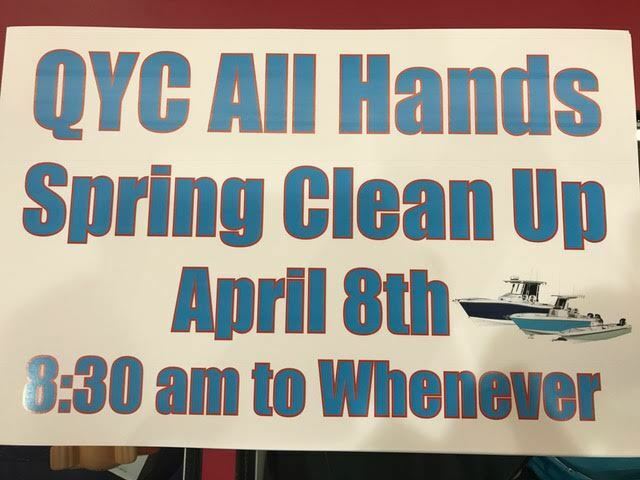 Spring is here and now it's time for our annual All Hands Spring Cleanup. April 8, starting 8:30 am and going into early afternoon. Typical clean up, grounds, parking lots, hill side, docks and Meyers Hut. (Need some team leaders for each). Hand tools, small power tools, Weedwhacker, trimmers, trucks for hauling ground waste. Lunch and perhaps fire pit when we are done, sounds like fun!!!! Watch for more news from our Flags, please plan on attending, lots of new members, nice social event!!!!!!! !